QUESTION: I have owned 221's for a while now. I would like to get an early model 221 AD series. Every time I see an early AD Model I keep seeing this written about them. Can you tell me which one is the new improved model, or what this means? ANSWER: This is another case of Myth and Rumor as I have talked about. 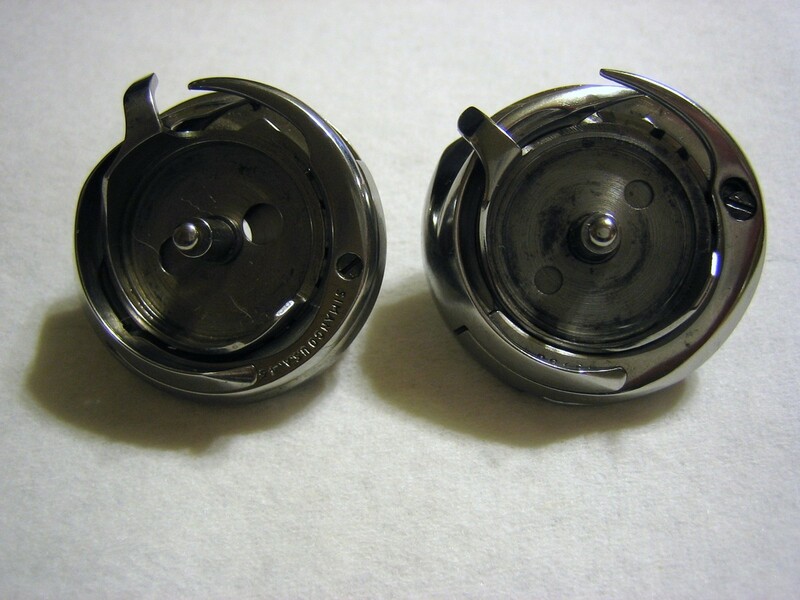 About the Only change Singer did to the BOBBIN CASE is Move the Part number around. Many people know just enough about the Model 221 to be dangerous and spread more Myth and Rumors. The First 40,000 FEATHERWEIGHTS were ALL called 221's. On JUNE-24-1935 SINGER, FOR ONE PRODUCTION RUN called the FEATHERWEIGHT a 221-1. LOTS of collectors are led to believe SINGER made some wild improvements at this time.. NOT SO! 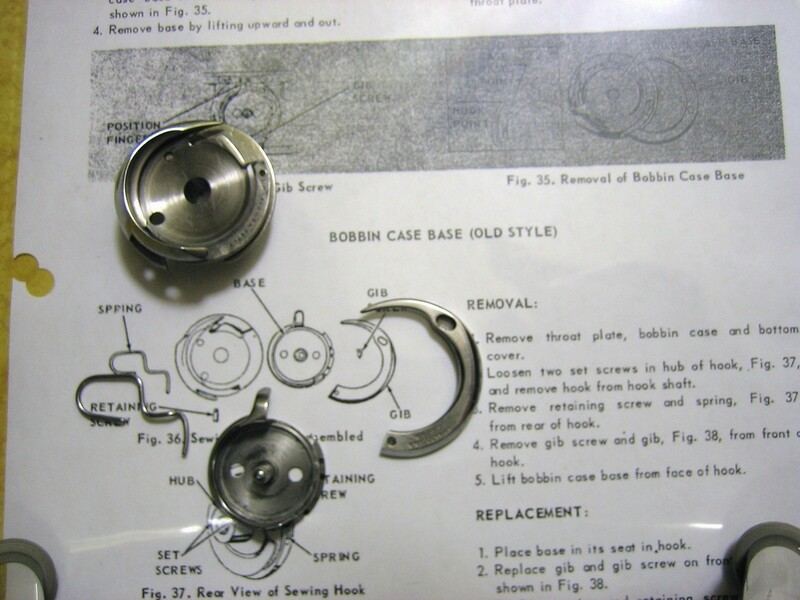 NOW IF we change the wording a little from BOBBIN CASE to ROTATING HOOK ASSEMBLY, we would be partly right but still wrong. 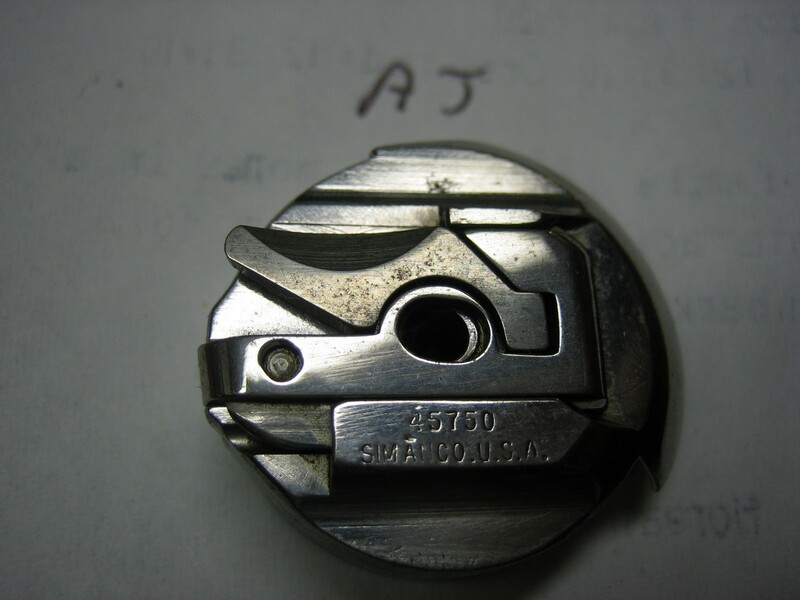 SINGER began working on the problem some time around AD541746 give or take a few. 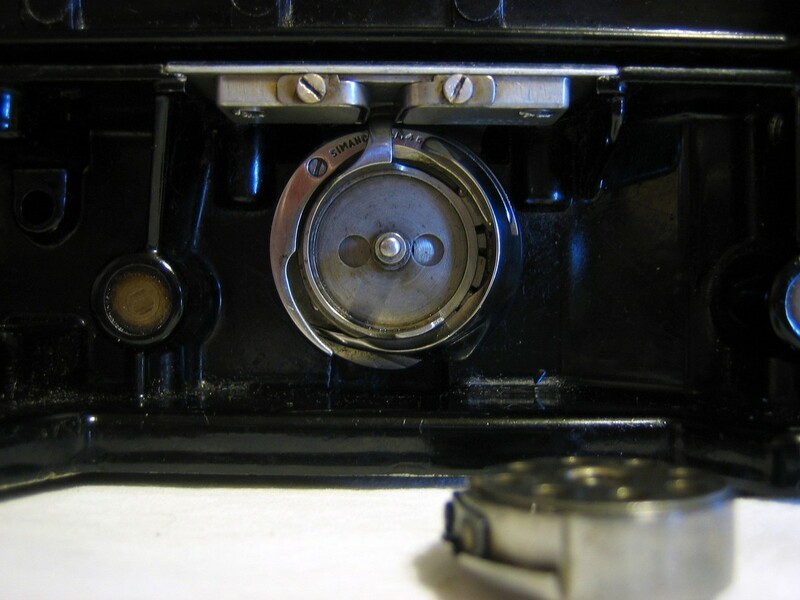 SO Next time your looking at a 1933 model 221, Raise the BED and LOOK at the ROTATING HOOK ASSEMBLY and the THROAT PLATE. 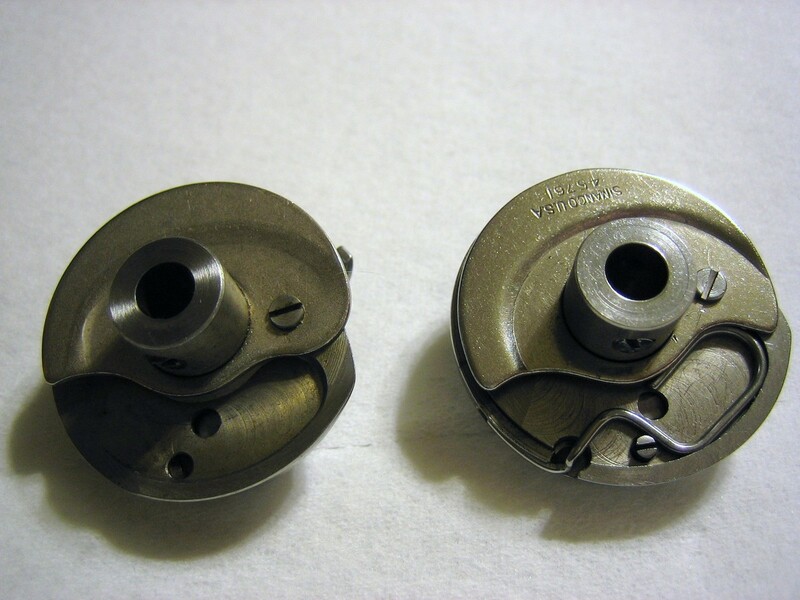 THIS IS THE SECOND combination; old style ROTATING HOOK ASSEMBLY with the Updated THROAT PLATE. Now the Throat Plate can be adjusted to remove any Play or Clicking from the POSITION FINGER. 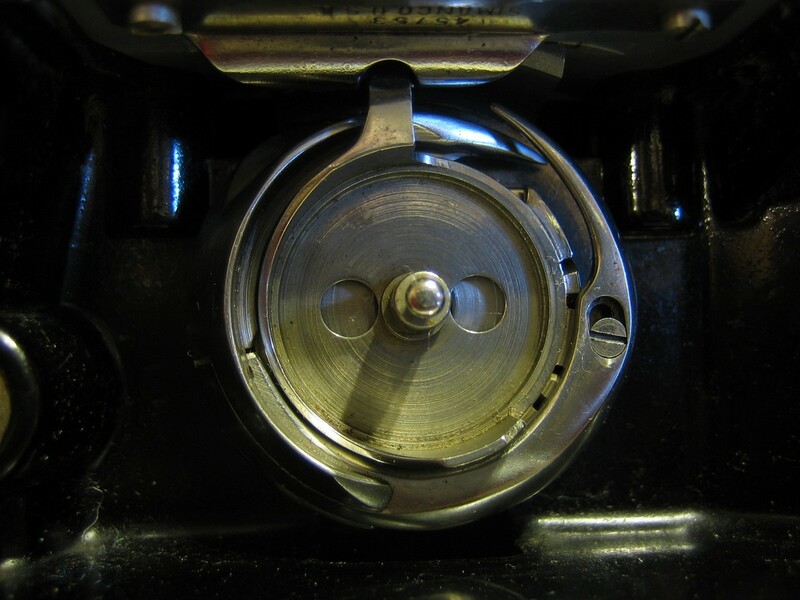 THE EARLY ROTATING HOOK ASSEMBLY didn't appear to have any real problems. OTHER than being OVER BUILT. 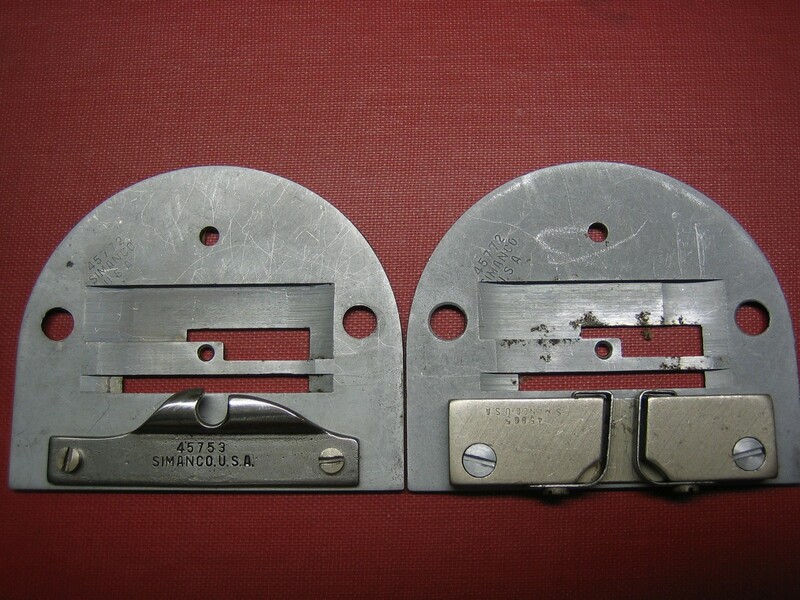 IT Looks like SINGER kept using them until the supply was exhausted. 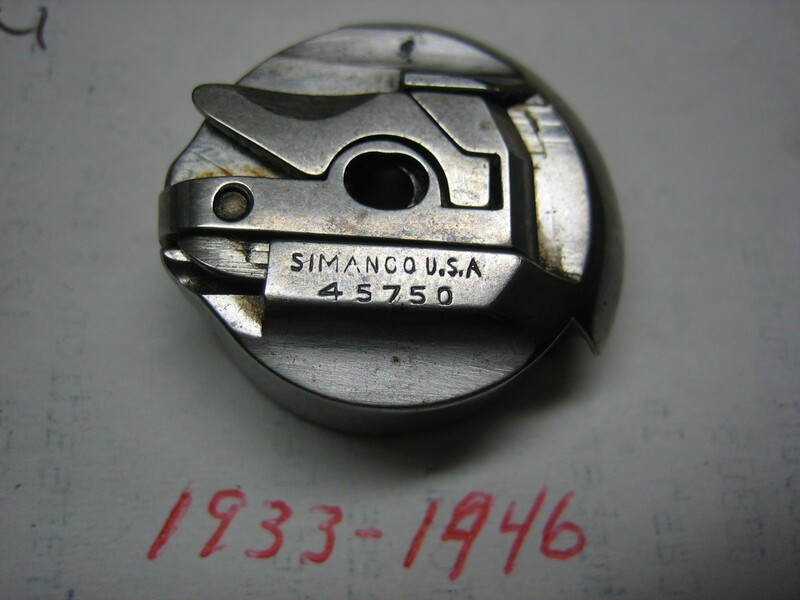 ROTATING HOOK ASSEMBLY..Here is a Early 1933 Rotating Hook Assembly With Safety Spring. 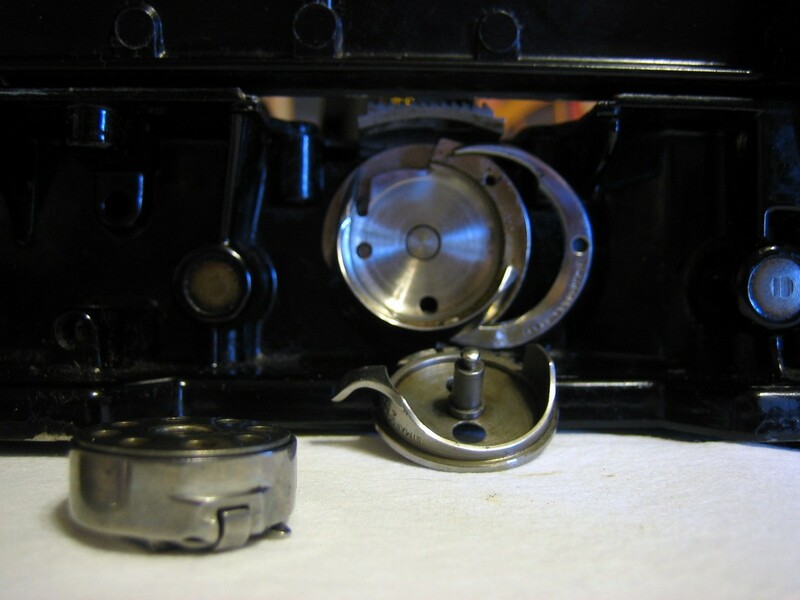 Next to a late 1933 and Later Hook Assembly W/O Spring. You can see they are almost Identical, Less Spring. 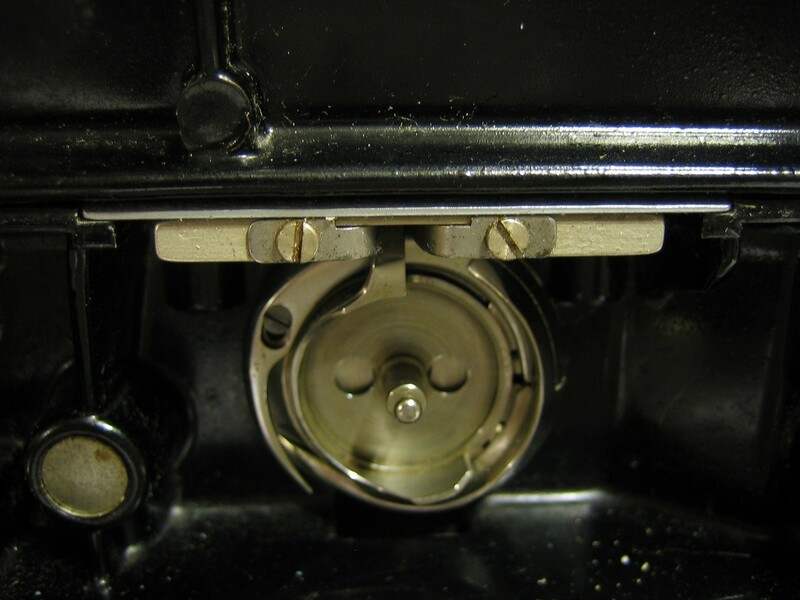 THE BIG DIFFERENCE with the Early Hook Assembly - IF you had to get to the Base to remove a thread jam, you would have to Completely Remove the Hook Assembly and Re-time the Machine. Not an easy task for a novice.